This is probably the easiest, most delicious recipe I’ve shared. Totally healthy, too. What more can we ask for? Dessert for breakfast? Yes, please! If you struggle to get a good breakfast in each morning, maybe it’s time to think outside the box. How about breakfast on a stick? 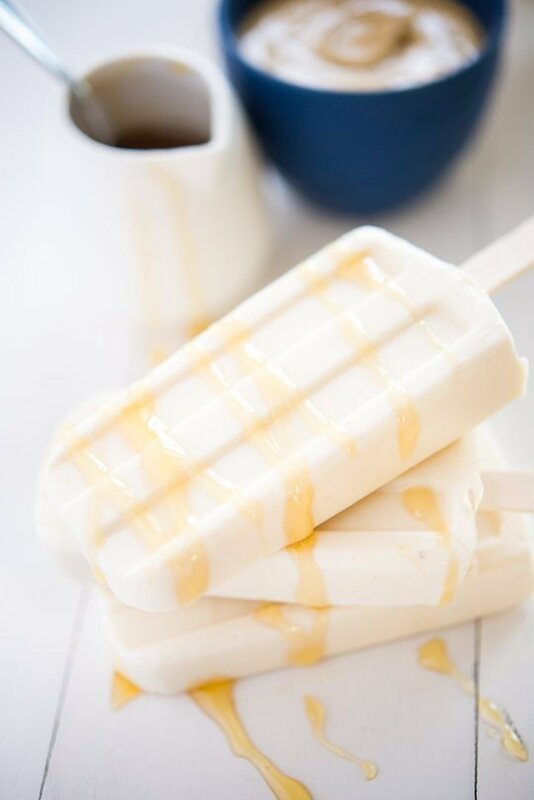 Loaded with yogurt, creamy cashew butter, milk, vanilla, and honey, these cold treats take only seconds to throw together. Once they’re frozen, you can grab one anytime — even if you’re rushing out the door. Place all the ingredients in a large bowl and whisk until completely smooth. 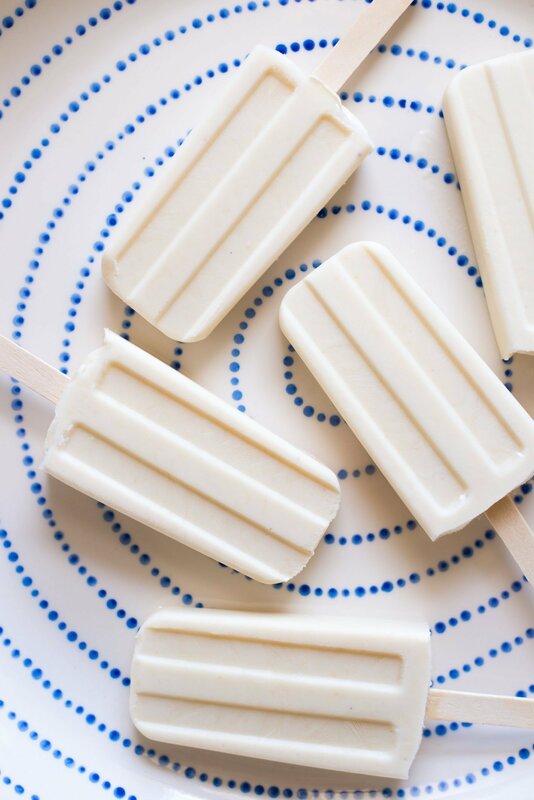 Divide the mixture among ice pop molds, insert the sticks, and freeze until completely solid, at least 8 hours. To serve, run the molds briefly under running hot water until the pops loosen from the molds.